Today I went down to the courthouse. I am working on getting my children U.S. birth certificates. Enough about that. It's long and boring. Okay. I had jumper cables. I opened my hood and stuck them on, and then looked around for someone to give me a jump. At this point, I am near tears. And ready to call Gil and make him drive the 30 minutes to give me a jump. All I could think was, This would never happen in Tanzania. Okay....the part about the battery dying? That would happen. In fact, it did, multiple times. But the part about no one willing to help me? No matter what part of Tanzania I might be in. Every time I had car trouble; every time I had a flat tire (which was quite often), I would pull over and immediately be surrounded by people willing to help me. Immediately. I remember one time, I was driving back from camp. I was driving at night (which I already hate); I had the kids in the car, and I had to cross the water on the ferry, which is about a five minute trip. But four guys instantly noticed the problem. They descended upon my car and asked me if they could change the tire. And seriously, it was like being in the Indy 500. They had the tire changed and the flat one back in the car in five minutes, lickety split. I just sat there, stunned, and then drove off the ferry when it reached the other side. Who needs Triple A? Today, I did finally find someone who took pity on me and jumped my car. He was very kind. And I'm sure you would have helped me too, wouldn't you have? California, you might have the better roads and the better drivers and the better law enforcement, but when it comes to kindness to strangers, Tanzania is the definite winner. I think I'd rather break down there. Sometimes, I jokingly tell Alyssa, "I'm scared to join your team." I laugh, but actually I am serious. I think laughing makes it easier. A couple years before Mark and Alyssa came to Dar to start the theological training program, another family with ReachGlobal arrived to do the same thing. They were having a lot of success getting things started, but then two of their kids developed a mysterious, chronic illness. Then the wife developed an even more mysterious, serious illness. Eventually, they had to return to the States. 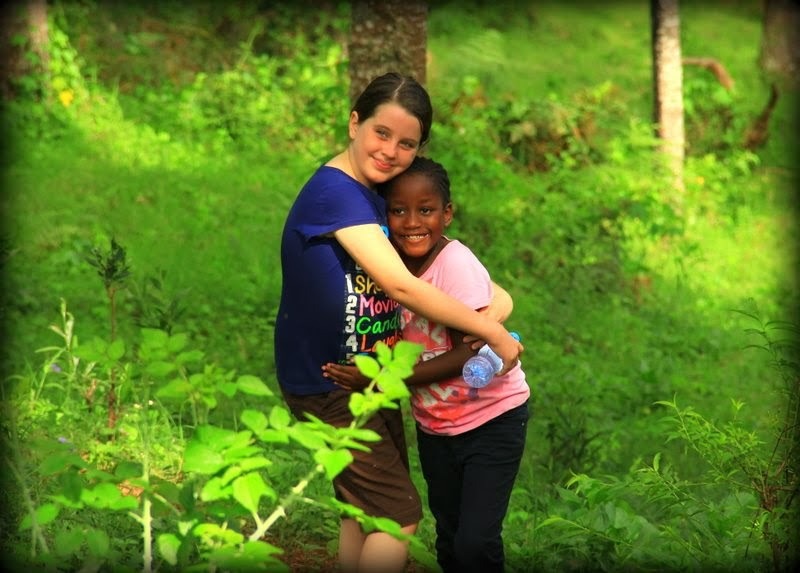 After arriving in Dar two years ago, within months, Alyssa developed a debilitating auto-immune condition. It got so bad that for a while she was completely bed-ridden. Now she takes powerful medication (with a lot of side effects), but even then she often only has about 6-8 "good hours" of each day when she can be out of bed. You wouldn't know it, because she has an amazing attitude and never complains, but she lives in constant pain. And that all happened within months of arriving back in Dar....to start a theological training program. Coincidence? Maybe. But even weirder is the snakes. About three months ago, Mark and Alyssa discovered a snake in their house. This does happen every once in a while in Africa. In the 10 years we lived in Dar, we had a snake in our house once. We've seen a couple others in our yard. Okay...that happens. They killed it. But then another appeared. And another. And another. In three months, they've killed about 15 snakes in their house. Twice, they had exterminators come out. Neither found any evidence of a nest or could figure out where they were coming from. The snakes were identified as boomslangs. Extremely poisonous. Not native to the area. Appearing, so it would seem, out of nowhere. The truth is, that we are moving to a city where witchcraft and curses and dark magic are not just things you pretend about on Halloween. Animism is the dominant worldview of the majority of people, even many who call themselves Muslim or Christian. Obviously, our enemy doesn't like the fact that we're teaching church leaders how to study the Bible for themselves, that we are saved by grace and not works, and that a good preacher is not defined by touching people and making them fall over. So yeah, when I think about what has already happened to the people on our team, I am scared. If I let my imagination get ahead of me, I am terrified. Sometimes I too ask the question, Why are you going back? Why on earth are you going back? Greater is He who is in me, than he who is in the world. But I am also excited. Because if he must fight that hard against what this team is doing, then they must be doing something right. And I get to join in. You know when you look back on your life and can pinpoint an ordinary moment that ended up changing everything? It's crazy, isn't it? Because at the time, it doesn't seem like anything important. That's how it was when we offhandedly mentioned to Mark and Alyssa that they should come back to Tanzania and start a theological training program. We started to get to know Mark and Alyssa around 2006. This is them (last year). They were a part of a different mission, but their kids were at HOPAC and we attended the same church. At the time, Gil and I were feeling very friend-starved. We were spending literally all of our free time with teenagers. As much as we loved them, we were a bit dehydrated. I can remember my conversation with Gil when we chose Mark and Alyssa to be our friends. I know, it's kind of weird and freaky....maybe sometimes we are overly intentional about what we do. 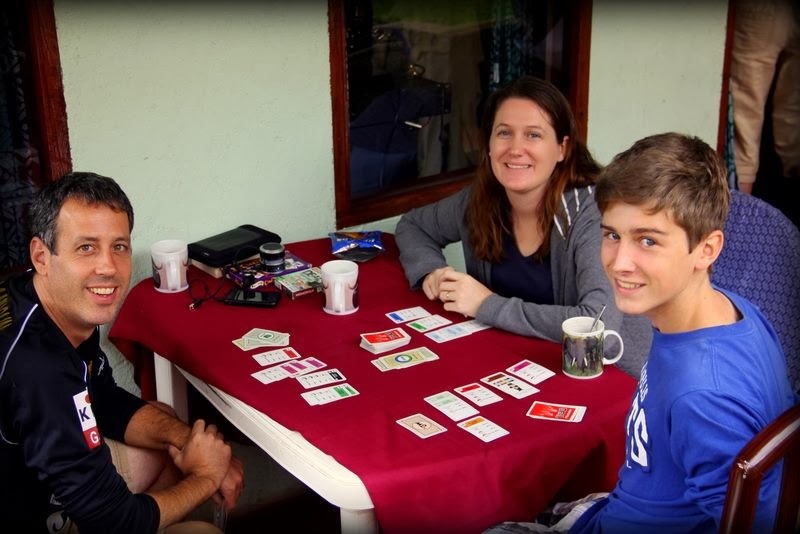 We decided that we needed to spend more time with like-minded people, and Mark and Alyssa were in Dar to do pastoral training, they loved board games, and they were committed to be in Tanzania long-term. What more did we need in friends? Though I didn't know her very well, I can remember thinking that Alyssa was the kind of person who could one day be a really, really good friend. She was a kindred spirit. But then, just as we started to spend more time with them, everything fell apart in their ministry. For no fault of their own, they had to suddenly pack up and go back home. We were depressed, because once again a relationship we loved had become temporary. And for them, it was devastating--a long-time dream had been shattered. We had them over for dinner one last time. And in passing, we mentioned, "ReachGlobal [our mission] wants to start a pastoral training ministry in Dar. You should consider coming back with them." We have those conversations all the time. We try to recruit anyone who comes through our doors (be warned!). Usually, nothing comes of it. But, lo and behold, it was the seed. Four years later, they came back. To start a theological training program for church leaders. Alyssa tells it from her perspective here. 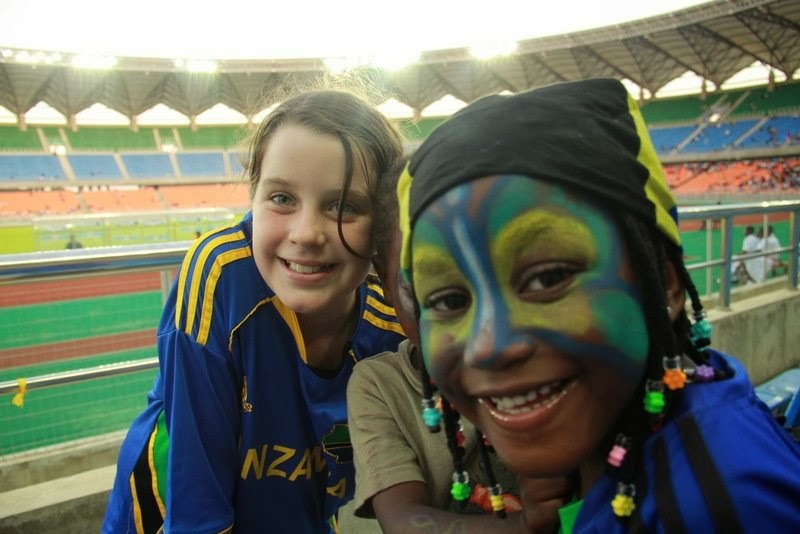 They arrived back in Dar two years ago, and a little over a year ago, the program started for the first time. In 2013, they trained their first group of church leaders and graduated them in December. Gil took a week off from HOPAC in May and got to teach the Life of Christ class. And that friendship that started and ended way too soon? Two years ago, we picked up where we left off. We still share a love of board games, and pastoral training, and staying a long time in Dar. And I was right about Alyssa. She did become a really, really great friend. They came back because God used us to plant the seed. We're going back because they have started the training program that is a perfect fit for Gil. We will be partners. We're hoping to even be neighbors. We both get to live in the city where we have felt called to for a long, long time. Our kids still get to attend HOPAC, and when we left last year, we didn't have to say good-bye forever. Bethany and Grace already call themselves cousins. I think it really begins with Benny Hinn. If you don't know who he is, then consider yourself privileged. Honestly, you don't need to spend one second of your time looking up this heretical, self-serving sham of a television preacher. Unfortunately, he is also world-famous. And during our first term in Tanzania, way back in 2001, we came to the horrifying realization that many Tanzanian church leaders were being trained in how to preach by watching his TV program. Gil knew, from that first term, that one day he wanted to train church leaders in Africa. But he also knew, at the tender age of 24, that it wasn't the right time for him. Instead, God called us to Haven of Peace Academy, where we spent 10 wonderful years working with teenagers from all over the world. It was the World's Best Job and really, really hard to leave. 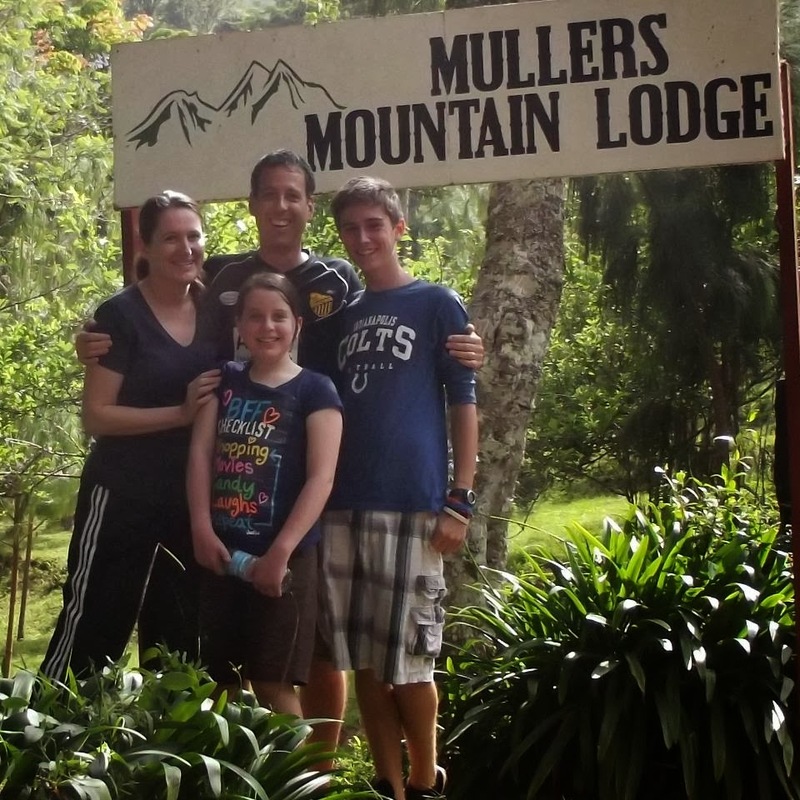 But for many years, as we thought ahead to the time when we would leave HOPAC and join a pastoral training ministry, we figured at that point, we would need to leave Tanzania. We thought we would need to move to Kenya, or Uganda, or somewhere else where there are established seminaries and training programs. Because for the most part, they simply did not exist in Dar es Salaam. Yes, it's a city of 5 million people. But pastoral training courses are extremely few and far between. Hence the reason many people found their training in Benny Hinn. We knew of the need in Tanzania, but Gil knew that he wasn't the person to start something brand new. So we always thought that once we left HOPAC, we would be leaving Tanzania as well. That all changed with one dinner conversation. Pity is me up here and you down there. Pity is I'm rich and You're poor. Pity is condescending. Pity is feeling sorry for you. Pity makes guilt the motivator. Compassion is coming alongside. Compassion is We both have needs; how can we help each other? Compassion is trying to understand. How would I want to be treated if I were in this situation? Compassion makes love the motivator. So here are some ideas to help develop compassion in our children. This list is not exhaustive. Feel free to add your own ideas. 1. For one school season, buy all your child's clothes at thrift stores or garage sales. Buying used clothing is the only reality for the majority of the world's population. Experience this reality with your child. Talk about what it feels like. Then allow your child to take the money you saved and pick out a donation from a gift catalog such as Harvest of Hope. (which is a great way to give because it helps a poor family develop sustainable income). That's one of my favorite gift catalogs, but there are many good ones out there. 2. Eat exclusively beans, rice, and vegetables every night for a week. Again--a reality for much of the world. Take the money you save and pick out a donation. 3. Travel on your local bus with your kids every once in a while. Observe. Talk with them about what life would feel like without a car. 5. Go to a low-income area in your city. Shop where they shop and/or eat where they eat. Grocery shop there or have lunch. You'll get a new perspective, some new dinner ideas, and probably learn a couple things about different cultures. 6. Go to your church's or city's local food pantry. Take home a couple bags of food (you can always replace them later). Eat that food for a week. Note: If you are like me, this idea makes you incredibly uncomfortable. You are probably thinking: I could never do that. What if someone I knew saw me? What if anyone saw me? How embarrassing! How humiliating for someone to think I was poor! And anyway, who wants to eat out of cans and boxes all week? Exactly. What makes us think that a "poor" person feels any differently? Imagine what it would do to your soul if eating from a food pantry was your only option, on a regular basis. Meditate on those thoughts for a while. 7. Consider moving into a low-income neighborhood. I wonder, why is this so radical? It's definitely a calling, and it won't be realistic for most families. I understand that, but can we at least pray about it? Many middle-class churches have low-income neighborhoods literally next door. How amazing would it be if a team of church members deliberately moved in--as neighbors, as equals, as friends? To come alongside, to partner together, to share lives, to problem-solve together? Now, that would be a way to teach our kids compassion. With most of these ideas, you could say, But Amy, these activities are not actually going to help the poor. No, they are not. But at least they won't hurt the poor, which is what can happen sometimes with our well-meaning attempts to teach our children compassion. And when we have built up compassion and true understanding for the poor in our children, and in ourselves, that's when we are ready to really start making a difference. A friend recently asked me to describe our house in Dar, and I was telling her that we have a three-bedroom house, but are surrounded by families who live in one room. Not one-bedroom houses, one room houses with no plumbing. She said something like, "Wow, it must be a struggle to be surrounded by so much poverty." Then she said, "And you never really get used to it, do you?" If you've read this blog for any length of time, you know that it's on my mind all the time. All The Time. Being back in the States hasn't changed that. But it has been interesting to observe the "other side"--the side of the givers--the churches, the people, the children who empty their piggy banks, who donate clothes and food, who fill up shoeboxes and send them to children all over the world. And I see their hearts and how they long to help. And I see how they deeply desire to impart a spirit of giving and compassion in their children. It's wonderful and inspiring to see from this side. But I struggle. I struggle, my friends. Because I see the hearts of the folks here, and then I see some of the results of their kindness there, and it's just not producing the results that they would anticipate. "In the last fifty years, [Africa] has received $1 trillion in benevolent aid.....Country by country, Africans are far worse off than they were a half century ago." I struggle because I don't want to sound judgmental. These are lessons that I have learned, that I have been forced to learn. To learn the hard way. And these lessons have so completely changed my life, my perspective, that I desperately want more of the American Church to get it too. "[A]s compassionate people, we have been evaluating our charity by the rewards we receive through service, rather than the benefits received by the served." Read it again. Please, my friends, go back and read it again. I resisted this statement the first time I read it. My heart got defensive. When I want to help the poor, when I give money or stuff or time, it's not about me; of course it's not about me! And maybe it's not entirely. But how often do we really sit down and contemplate or discuss or ask questions about how our programs or food or donations really are benefiting the poor? Or is it more about what lesson it is teaching our children about compassion? Or how satisfied it makes us feel? This is what I am going to ask you today. The purpose of this post was actually to give you a book review of this book, because he says it much, much better than I ever could. My favorite book on this subject is still When Helping Hurts, which I have reviewed previously. 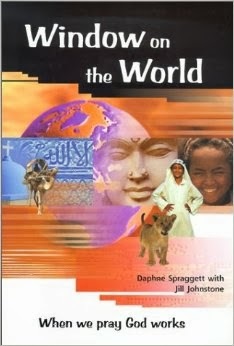 That book changed my perspective entirely, and I recommend it first. 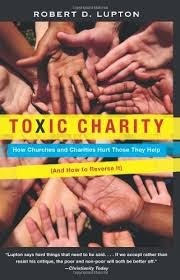 But Toxic Charity is shorter, a quicker read, and more practical, so if you want a place to start, this is a great one. "Yes, many of our motives are noble. We want to invest in the lives of others. We want to expose youth and adults to the needs of a hurting world. We want to engage people in life-changing experiences. Some of us are motivated by the teachings of Jesus--to clothe the naked, feed the hungry, and show compassion to the oppressed. Often, though, we miss the big picture because we view aid through the narrow lens of the needs of our organization or church--focusing on what will benefit our team the most--and neglecting the best interests of those we would serve." Please, my friends. I plead with you to read this book, to consider these issues. If you are a church leader, it's extremely important. But really, this book is for anyone who has ever engaged in charity work--whether it be serving at a homeless shelter, donating items to a food pantry, or filling a Christmas shoebox. Once you've read it, let me know. I'll love to discuss it with you. Because I'm still learning too. P.S. In the next couple of days, I am going to post some ideas I have about helping to develop a heart of compassion for the poor in our children. I know this is heavy on a lot of mama's minds, so I'll let you know some of the insights I have gleaned by living in two worlds. On Sunday night, a friend invited me to watch Downton Abbey. I zipped over to her house in 15 minutes. And I realized, as I was driving the approximately 9 miles to her house, that in Dar es Salaam, I have a friend who also lives about 9 miles away: My friend Kathy. And I also realized, that in the entire 10 years we have lived together in Dar, that I have never--not even once--zipped over to her house at 8:00 at night to watch a show together. Because to get to Kathy's apartment takes a minimum of an hour, and usually around an hour and a half, even though it's about 10 miles. So....we don't get to see each other very often. The population density of our current city is 1,300 people per square km. 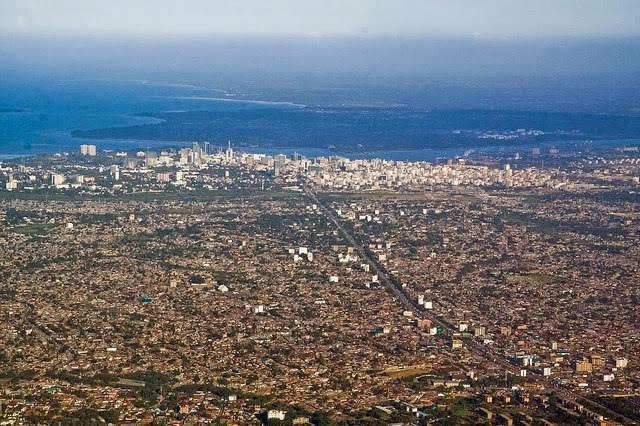 The population density of Dar es Salaam is 3,100 people per square km. With a fraction of the amount of roads. I thought about how in Dar, I hardly drive anywhere at night by myself. It is stressful enough driving in the daytime. But here, I can go to Target or the grocery store or a friend's house after dark. It feels so....free. I'm still not used to it. People ask me sometimes about what is different from my life in Tanzania and my life in the States. I struggle so much with where to begin. Everything is different. Everything. Driving, I tell them. Shopping. The weather. My schedule. Language. Color. I am different there. I would never be able to watch Downton Abbey at my friend Kathy's house, who lives only 10 miles away. (Of course, we'd have to wait for someone to send it to us on DVD first anyway.) But maybe, just maybe, if the traffic doesn't happen to be too horrendous, we can meet in the middle at an Indian restaurant. And that's fun too. Just different. But how is that possible, since it can't have been eight years since this? She's my good-natured, easy-going, happy, friendly, sweetheart. She's a peacemaker, a hard worker, and she leads by enthusiasm. We celebrated with miniature golf and rock climbing with her friend Kylie. Later we celebrated with family and a chocolate-peanut-butter cake that she was thrilled to make herself. She's God's Grace to me. She's a fragrance of Grace to everyone she meets. Here's to the next eight years.